When there are no possible options left, some search the impossible. Help Alex in his quest for... the most unbelievable solution. To the bottom of the sea. What exactly dwells down there? Very short, more than one ending. Interesting concept that could have done with a bit more substance. Some variation in the endings but they don't amount to much more than a quick animation after the credits. Single save slot means you have to replay the whole thing if you want to see the different endings. 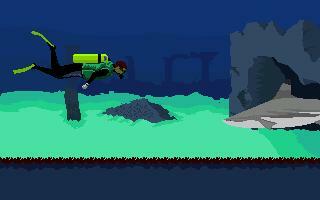 Nice MAGS underwater adventure with multiple endings, highly recommended!